With a seemingly endless array of jackets out there, it can be tough to figure out which one to choose. It's possible to find a jacket that functions over multiple seasons and in multiple different types of weather conditions, but sometimes, it really does help to look for layers that serve a specific purpose. I'm priveleged to be a part of another season of #ORInsightLab, a group "influential folks...who are diverse athletes and dynamic social storytellers. " 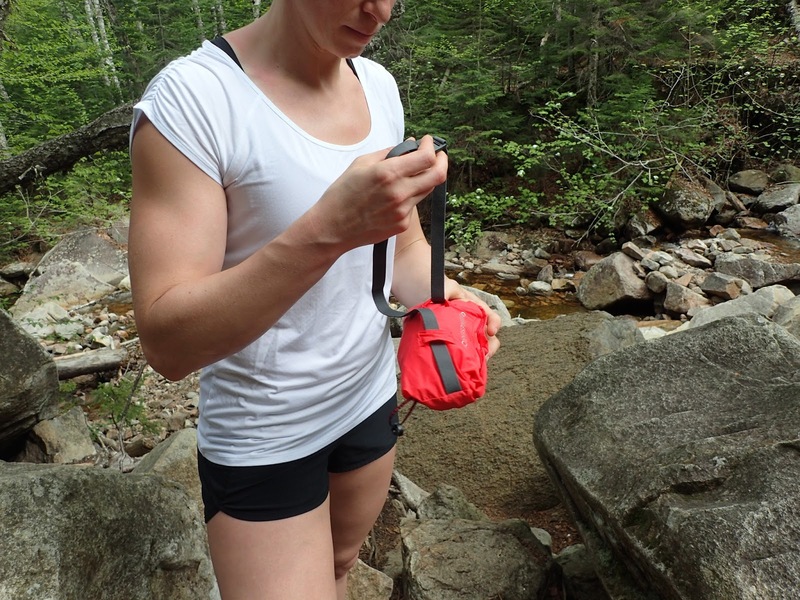 For the Lab, our job is to share gear feedback in specific categories for Outdoor Research. This season, I tried two of the company's lightest jackets this spring and summer - the Women's Tantrum Hooded Jacket and Women's Helium II Jacket. Though they have ultralight characteristics in common, both have some unique design features that make them idea for completely different situations. In this piece, we'll look at the Women's Tantrum Hooded Jacket. It's ideal for trail runs, hikes, or backpacking trips as a windbreaker or extra light layer when you're in variable temperatures. The Tantrum doesn't have too many bells and whistles, but that's sort of the point. It's built for "highly aerobic pursuits in less-than-ideal weather conditions," which translates to "activities that involve a lot of effort, potentially sweating and breathing hard in bad weather." 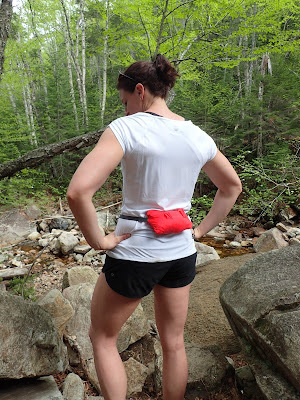 So if you're out on a trail run or a hike and a random summer drizzle starts, you're sheltered from any light rain and wind without risking overheating. It's constructed using 100% 20D mechanical stretch ripstop nylon, which means it stretches, but won't tear easily. The material is water-resistant and wind-resistant as well. The Tantrum as billed as a "slim fit" jacket, and I tend to agree. I'm 5'8" tall and around 160 pounds these days, and tried a medium. It fit me just right; I can't layer much underneath it, but for the weather I'd wear the Tantrum in, I wouldn't layer much anyway. It's tight enough on my torso that whatever I put in the chest pocket is compressed slightly, which isn't ideal, but I don't see much use for the chest pocket. All zipped up and ready for adventure! There's a lower back pocket that serves an additional function, more on that later, and if I'm carrying anything with me, I'd put it in that pocket instead. I'd love the Tantrum to be slightly longer, enough to cover more of my torso in the front and back. And as per usual, the sleeves are a touch shorter than I'd like for my six-foot wingspan, but not enough to prevent me from loving the jacket. My favorite part of the Tantrum, aside from how it's so lightweight I almost don't notice it, is its packability features. The entire jacket packs inside a lower back pocket, and an attached stretchy band with a buckle makes it possible to carry the jacket comfortably around your waist. And when I packed up the jacket, there was still enough room for a snack and my keys. If you're wearing a backpack and the jacket, the pocket is positioned in a way that may squish the belt against your back, but I didn't have trouble with it. I found the Tantrum did just fine when it came to blocking wind, but I wouldn't suggest taking it out in a downpour unless you know you'll be in dry conditions at some point in the near future. It's water-resistant, not waterproof. The attached adjustable hood is a nice-to-have; I'll typically only use a hood when I'm out if it's really raining, and I don't find running with a hood on particularly comfortable. At an MSRP of $110, it's on the pricey end of the spectrum for a wind and water-resistant shell with a waist belt. But I will absolutely continue to take this jacket on trail runs where the may be rain in the forecast, on hikes to places like the top of Mount Mansfield where it can be a lot cooler and windier on top than at lower elevations. 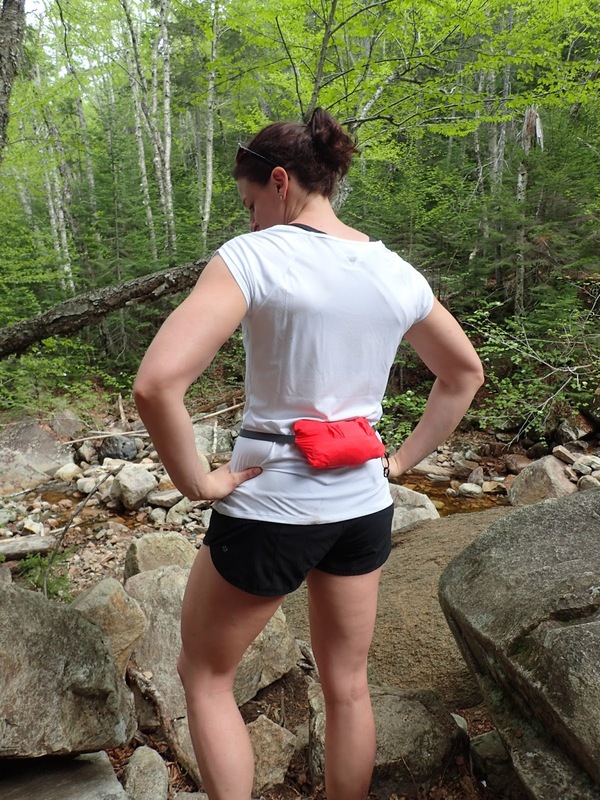 The Tantrum is perfect for outdoor adventures in which you're sweating and working hard, potentially running into a light rainstorm or wind, and you're not interested in carrying much with you. 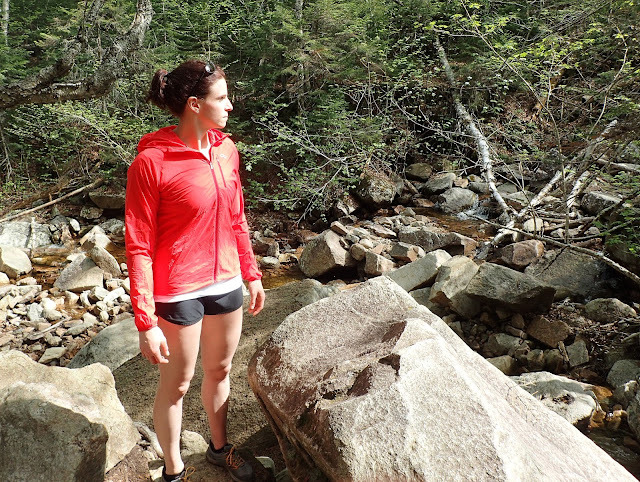 Take a look at how Outdoor Research employee and runner Ashley uses the Tantrum to learn more. 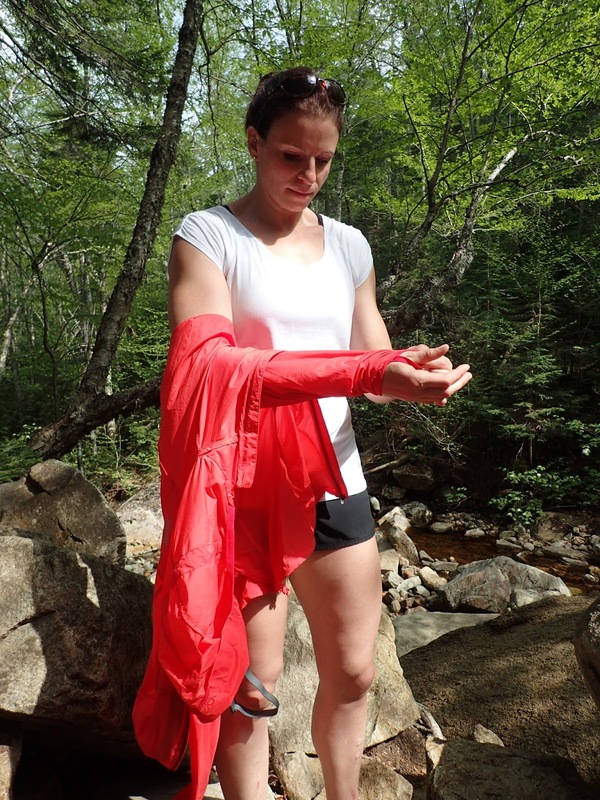 Whadya think, trail runners and hikers, would this jacket work for you? What questions do you have? We'd love to hear from you, as would the Outdoor Research team! And stay tuned for a review of the Helium II; if you're often in rain in warm weather, you won't want to miss it! Disclosure: As always, these opinions are my own, are the result of careful and thorough testing, and are no way influenced by the fact that the product was complimentary.